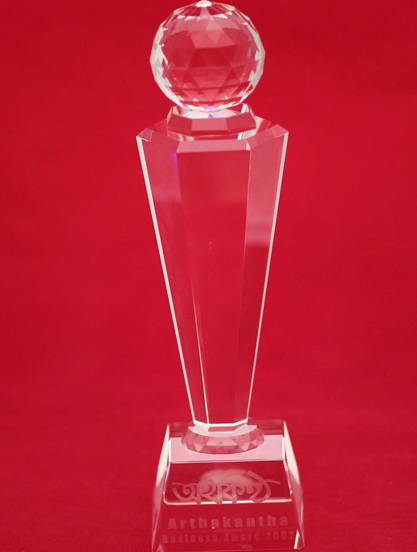 The government awarded National Export Trophy to exporting companies for the fiscal year 2015-16 for their outstanding performance in the country’s export earnings. 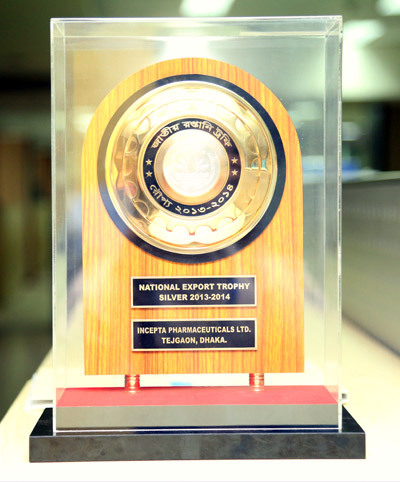 Incepta Pharmaceuticals Ltd achieved export trophy in the pharmaceuticals products category. 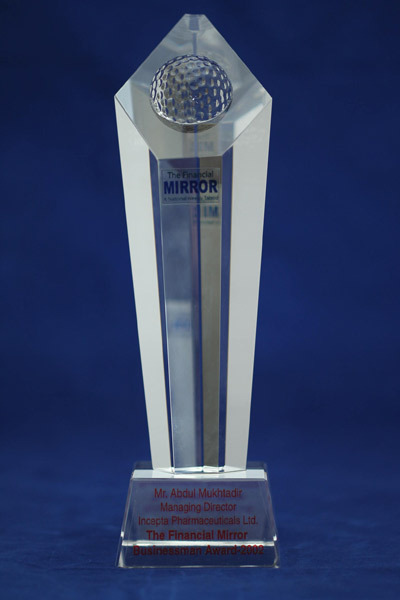 Our Chairman & Managing Director Mr. Abdul Muktadir received the trophy on behalf of Incepta Pharmaceuticals Ltd from the Honorable Prime Minister Sheikh Hasina. 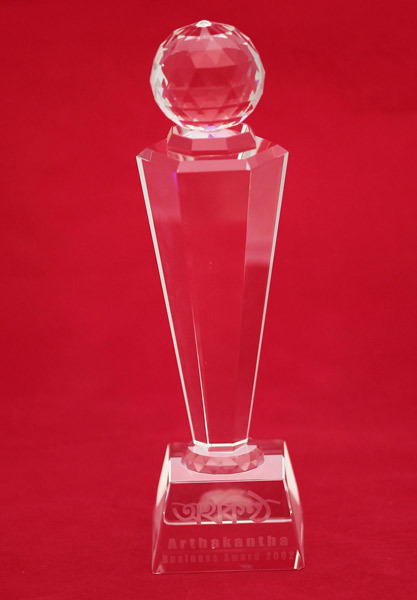 This consecutive winning of National Export Trophy for fiscal year 2013-2014 , 2014-2015 & 2015-2016 recognizes the continuous growth of our export all over the world. 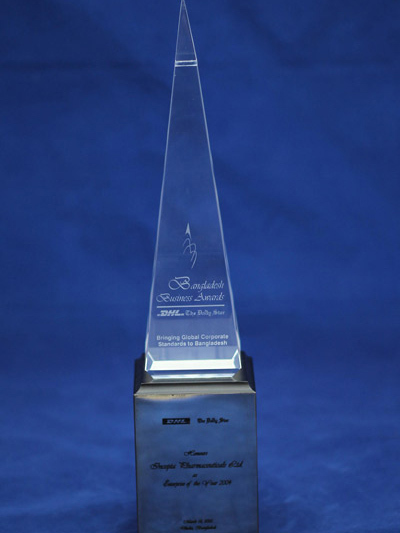 The government awarded National Export Trophy to exporting companies for the fiscal year 2014-15 for their outstanding performance in the country’s export earnings. 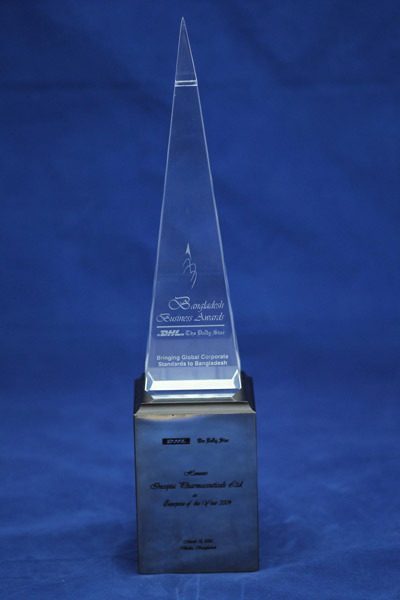 Incepta Pharmaceuticals Ltd achieved export trophy in the pharmaceuticals products category. 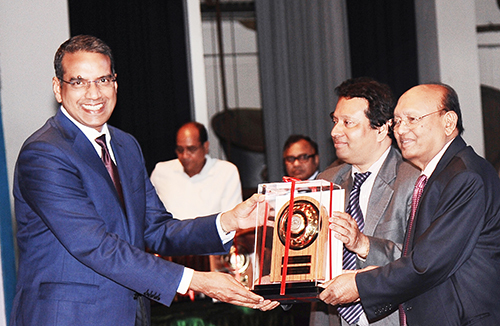 Our Chairman & Managing Director Mr. Abdul Muktadir received the trophy on behalf of Incepta Pharmaceuticals Ltd from Mr. Tofail Ahmed, the Hon'ble Commerce Minister of the People's Republic of Bangladesh. 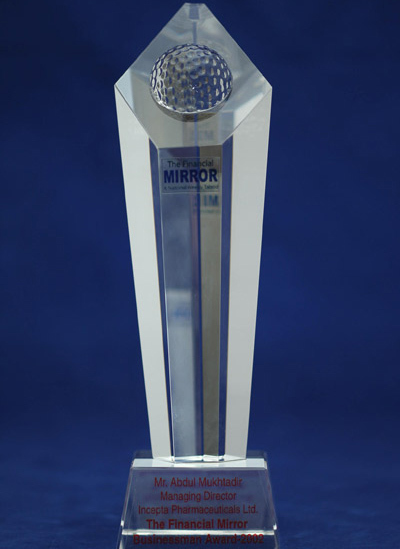 This consecutive winning of National Export Trophy for fiscal year 2013-2014 & 2014-2015 recognizes the continuous growth of our export all over the world.